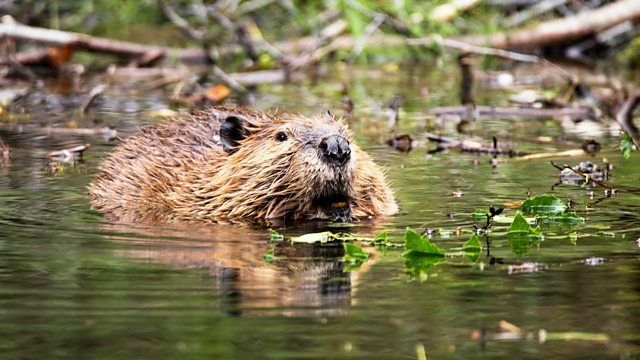 Beavers are back in the UK, hundreds of years since they last lived with us. Brett Westwood asks if we can recover our cultural links with these architectural animals. Rachel Poliquin is a Vancouver based writer concerned with all things orderly and disorderly in the natural world. Her book Beaver was published by Reaktion in 2015. Jim Crumley is a nature writer, journalist and poet. His book Nature's Architect: The Beaver's Return to Our Wild Landscapes, was published by Saraband in 2015. He is a passionate advocate of species reintroductions, especially of wolf and beaver, the widespread restoration and expansion of native habitats, and a radical reappraisal of the relationship between the people of Scotland and the land. He writes columns for the Scots Magazine and The Courier and now lives in Stirling. The Devon Wildlife Trust is home to England’s only known wild beaver population on the River Otter in East Devon.